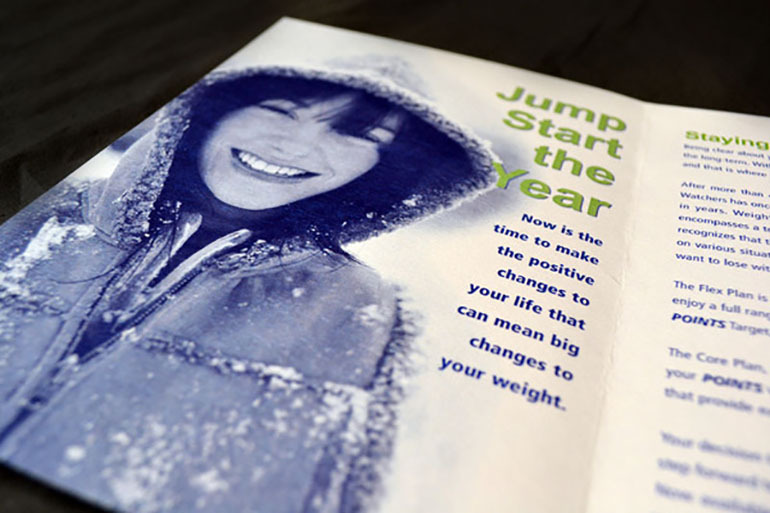 This mailer was created to promote the winter season pass to previous members of the Weight Watchers of Western Michigan franchise. 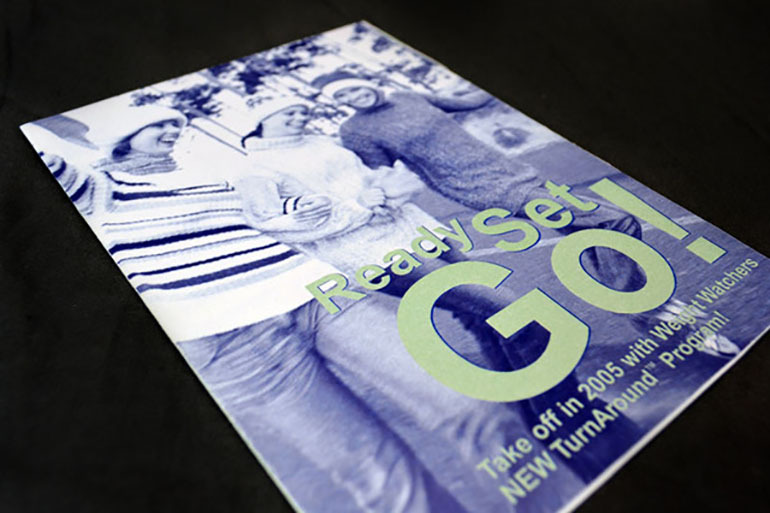 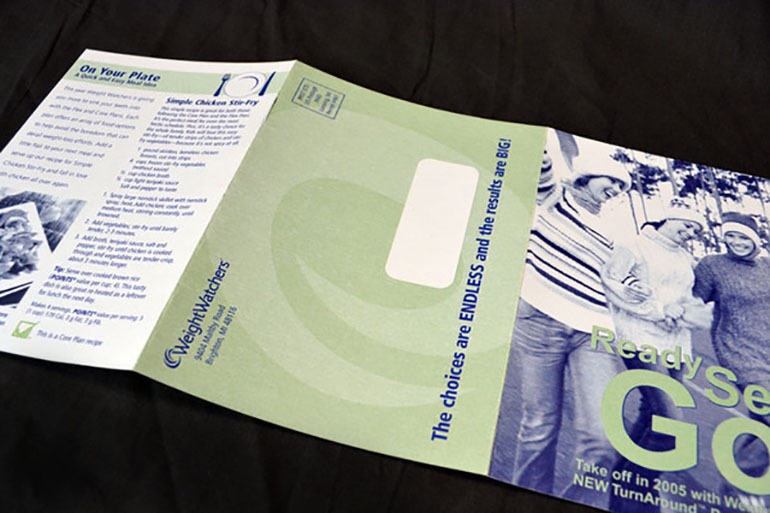 The mailer is printed in two-color to save on cost. 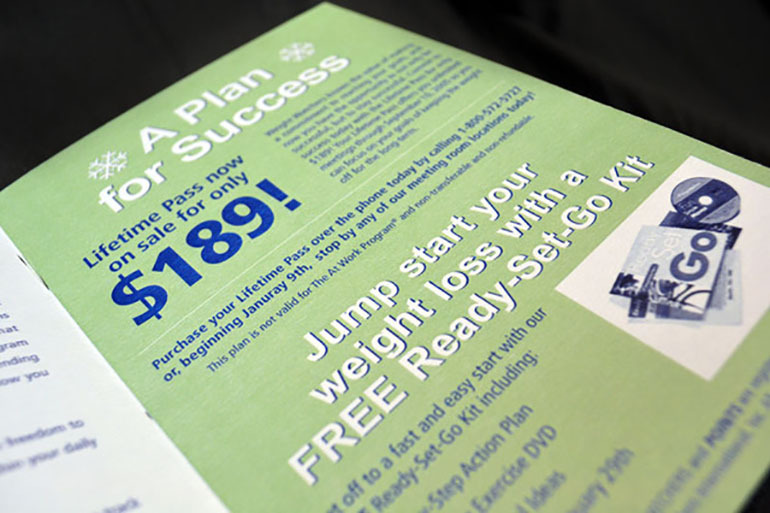 The goal was to get previous members excited about the new program and rejoin. 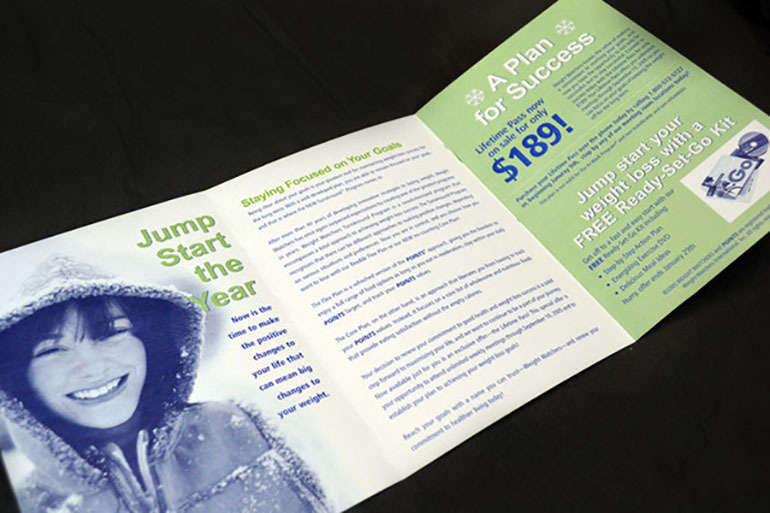 The imagery and colors help convey both the season and the level of excitement the company had about the new program.